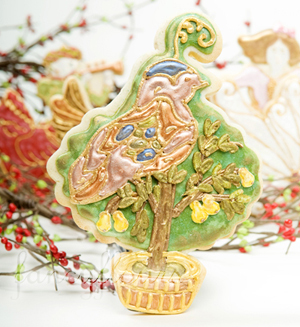 Once again Marie Dorsey, owner of Two Sugars in Bozeman, Montana has utterly amazed us with her beautifully intricate, delicately detailed and stunningly creative decorated sugar cookies. 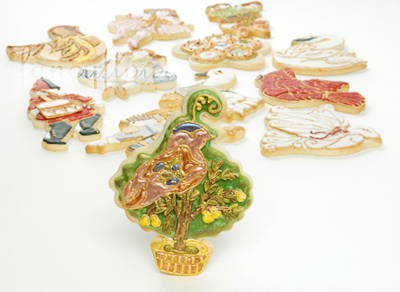 More of Two Sugars’ impressive cookie collection can be found at twosugars.biz. 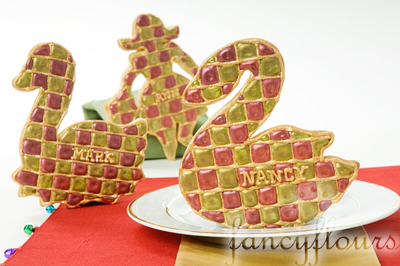 Fancy Flours 12 Days of Christmas cookie cutters were used to create these timeless sugar cookie shapes. Available only at fancyflours.com.